Bruce G. Paulsen, a partner at law firm Seward & Kissel, is acting on behalf of ING in the U.S.
Judge Forrest in the Southern District of New York last Friday reached the wrong decision when she denied ING Bank (ING) a maritime lien, says Bruce G. Paulsen, a partner at law firm Seward & Kissel who is acting on behalf of ING in the US. "We think the decision is wrong, and the bank is now considering its options," Paulsen told Ship & Bunker, adding that it was too early to comment further on the matter. Judge Forrest's decision, which comes as part of some 50 cases that resulted from the collapse of OW Bunker, means that there are now two decisions for ING on the matter in two different districts that appear to be contradictory. While Forrest denied ING a maritime lien, in Barcliff, LLC v. M/V Deep Blue, Judge William E Cassady in the Alabama Southern District Court said ING, as assignee of OW Bunker, was entitled to a lien and should be paid the full outstanding bunker bill of $705,529.50. Judge Forrest, meanwhile, said she denied ING the maritime lien because OW Bunker did not "provide the necessaries", i.e. 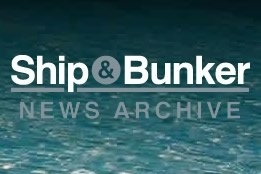 bunkers, which is one of the three requirements that must be met for a valid maritime lien under the U.S. Commercial Instruments and Maritime Lien Act (CIMLA). She further expanded on this by saying: "At no time did [OW Bunker] take on any risk (financially or in goods provided) with regard to the provision of bunkers to the [vessel]. It never assumed title or possession of the bunkers, it never obligated itself to pay the actual physical supplier, and it never supplied the bunkers. At most, O.W. Bunker's risk was a theoretical risk of a failure to deliver on its contract to the charterer; no exposure from this risk ever materialized." Separate legal sources unconnected with ING Bank have also questioned Forrest's logic in this matter, particularly with respect to the assertion that OW Bunker was not exposed to any risk. Captain Joe Zhou, Hong Kong-based Regional Credit Manager for Bomin recently highlighted to Ship & Bunker that the industry recognises bunker traders as playing an important risk management role as part of the marine fuel buying chain.